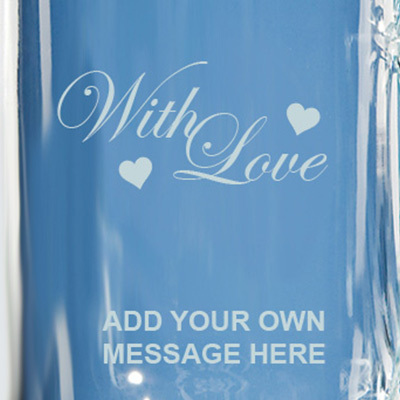 All of our gifts can be professionally personalised for free. If you would like your gift personalised then just complete the boxes in the engraving details and select your preferred font type. 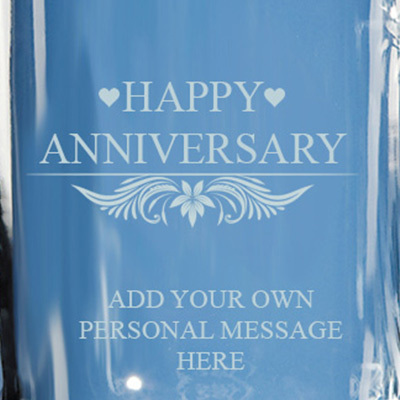 We also have our own preset designs that you can choose from ranging from Birthday, Anniversary or with Love. Should you wish to add a preset design to your gift then you can select this in the product options (there will be an additional charge for these designs to be added of £7.00). Samples of our pre-set designs are shown below, the design will be incorporated with your message and you can add any of these designs in the product options menu when ordering.